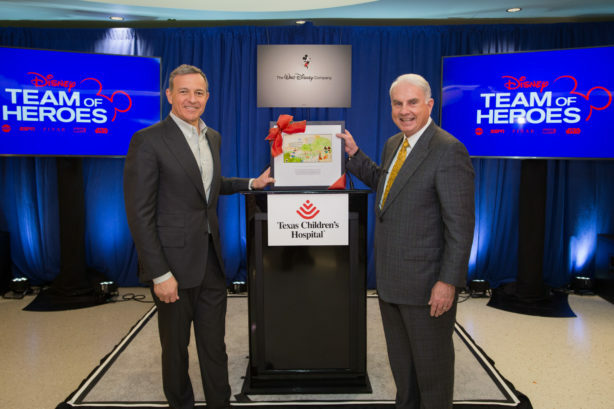 (L-R) The Walt Disney Company Chairman and CEO Robert A. Iger and Mark A. Wallace, President and CEO, Texas Children’s Hospital, display a gift presented by Wallace to Iger in honor of today’s announcement. The framed artwork is a reproduction of an illustration donated by Walt Disney for a fundraising brochure for Texas Children’s Hospital in 1952 prior to its opening two years later. 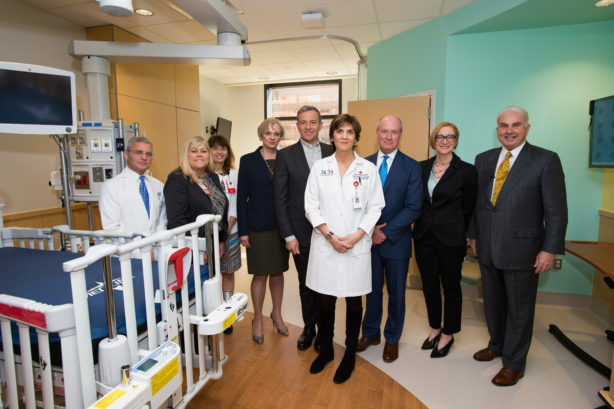 (L–R) Dr. Larry Hollier, Surgeon-in-Chief, Texas Children’s Hospital; Janet Winebar, Assistant Vice President, Texas Children’s Hospital; Gail Parazynski, Assistant Vice President, Texas Children’s Hospital; Christine M. McCarthy, Senior Executive Vice President and CFO, The Walt Disney Company; The Walt Disney Company Chairman and CEO Robert A. Iger; Dr. Lara Shekerdemian, Chief of Critical Care, Texas Children’s Hospital; Dr. Mark Kline, Physician-in-Chief, Texas Children’s Hospital; Elissa Margolis, Senior Vice President, Enterprise Social Responsibility, The Walt Disney Company; and Mark A. Wallace, President and CEO of Texas Children’s Hospital. 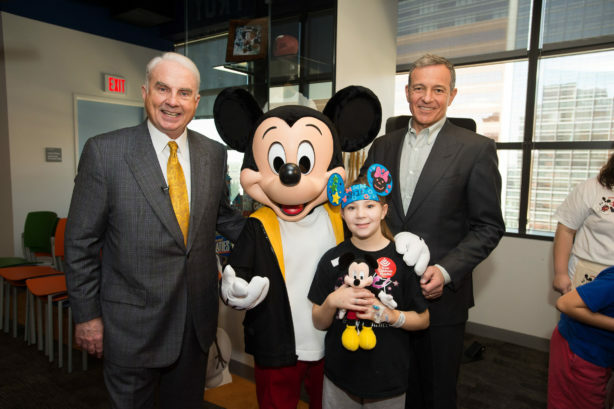 Mark A. Wallace, President and CEO of Texas Children’s Hospital (left) and Disney Chairman and CEO Robert A. Iger (right) were joined by Mickey Mouse and hospital patients at an event taking place this morning at Texas Children’s Hospital. 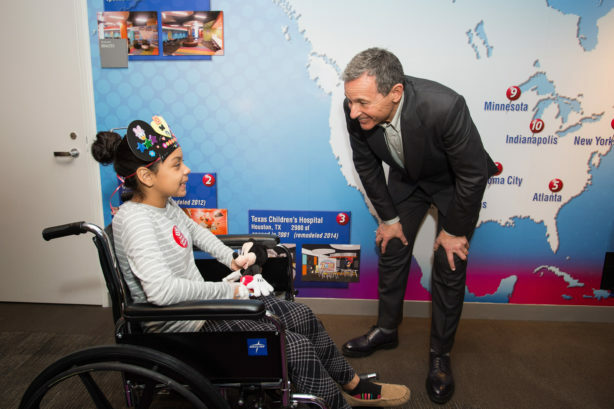 The initiative, announced this morning at Texas Children’s Hospital by The Walt Disney Company Chairman and CEO Robert A. Iger (pictured with a patient), will transform the patient experience in children’s hospitals around the world.